Ø Mumbai/Leh/Mumbai (Airfare in economy class ) Ø Assistance upon arrival at Leh Airport, Ø 05 Nights Accommodation in Leh on twin sharing Basis as per the Itinerary with Breakfast and Dinner Ø 01 Night Accommodation in Nubra Valley on twin sharing Basis as per the Itinerary With Breakfast and Dinner Ø 01 Night Accommodation in Pangong Lake on twin sharing Basis as per the Itinerary With Breakfast and Dinner Ø Return airport and round trip transfers along with all sightseeing tours by Non-Ac INNOVA for other categories. 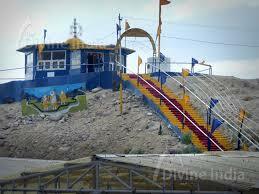 Ø Wild Life fees & Red Cross fee Ø All toll taxes/Parking fee/Driver allowance Ø 01 mineral water bottle Ø Ladakh Entry Fee. 1 Days (ARRIVE LEH) Arrival Leh by morning flight and transfer to the hotel. After welcome drink take a complete rest for acclimatization to the height altitude of Leh (3500 mtrs). In the late afternoon drive to the city for an orientation walk in the markets‚ followed by a visit to Shanti Stupa‚ Leh palace. .Dinner and overnight in Hotel. 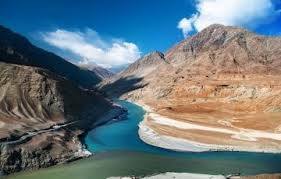 2 Days (LEH - EXCURSION TO SHAM VALLEY) After breakfast proceed for sightseeing of Sham valley visiting Hall of Fame ,GurudwaraPatthar Sahib , Magnetic Hill and the Confluence Of The Indus And Zanskar River. 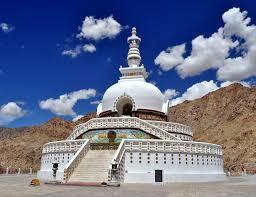 After visiting above places we drive back to Leh enroute visiting Spituk Monastery. Evening at Leisure and Overnight at Hotel in Leh 3 Days (LEH–NUBRA VALLEY VIA KHARDUNG) After early breakfast, leave for Nubra Valley, driving across Khardong - la (alt: 18,380 ft. – highest motorable pass in the world). After descending in the valley, drive on to Hunder and check into fixed camp. Post lunch, you can enjoy the ride of double hump Camel on Hunder sand dune.Dinner and overnight in the camp. 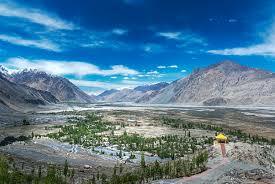 4 Days (NUBRA VALLEY – LEH) In the morning drive to Deskit (Headquarters of Nubra) and visit DeskitMonsatery. 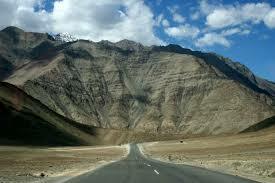 Later, drive back to Leh, reaching in the late afternoon. 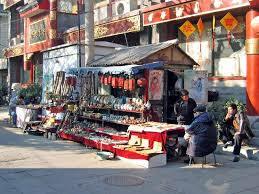 Rest of the day to explore the markets.Dinner and overnight in Hotel. 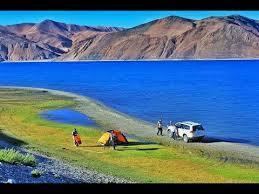 5 Days (LEH TO PANGONG LAKE) After Breakfast Leave to Pangong Lake through Changla pass 5486 Mtrs. While ascending Changla pass 5486 Mtrs. 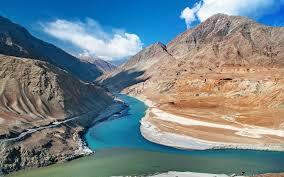 Enjoy the beautiful panoramic view of the villages below the pass. After crossing the pass halt for picnic lunch at Tsoltak, the summer pastureland of the yaks. Arrive Durbuk and from there a short drive takes you to the western shore of the lake. Enjoy the landscape in the back drop of the Lake. This famous blue brackish Lake of Pangong is 5/6 Kms wide and over 144 Kms long with half of its running the other side of the "INDO CHINA BORDER". One rarely feels so close to nature and environment and the scenery is unforgettable.Dinner and overnight at Camp. 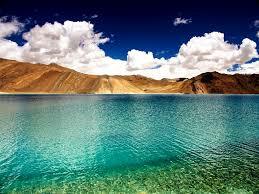 6 Days (PANGONG LAKE TO LEH) Leave Pangong Lake after breakfast and retrace the road to Leh across the Changla Pass. 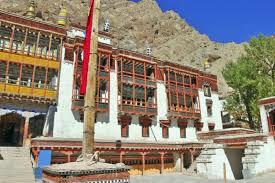 Upon reaching Karu, drive across the Indus and visit Hemis Monastery, the biggest and most famous monastery of Ladakh, and then return to the highway for onward journey to Leh, .Dinner and overnight at Hotel. 7 Days (LEH) Complete day at leisure to explore the destination on your own and In the evening you can stroll around the market place for some last minute souvenir shopping. 8 Days (DEPART LEH) Tour concludes. 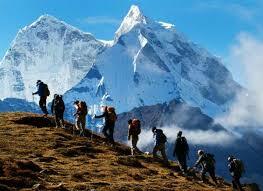 Tour organizer ensures a punctual Transfer and our driver will take you to the airport for onward destination.